I have hit that time in my life, although I think a bit early, where I am going through what my Mother and Grandmother referred to as “The Change”. It’s a change alright! I have hot flashes – which are subtle at times, I gte hot or extra warm and maybe even sweat and then I am normal again! LOL I guess normal is relative, huh? I have noticed mood swings – as in – I sometimes feel overly stressed for a very short time, but I notice it and it annoys me. I am short tempered with my youngest – the only one left at home – Poor Guy! 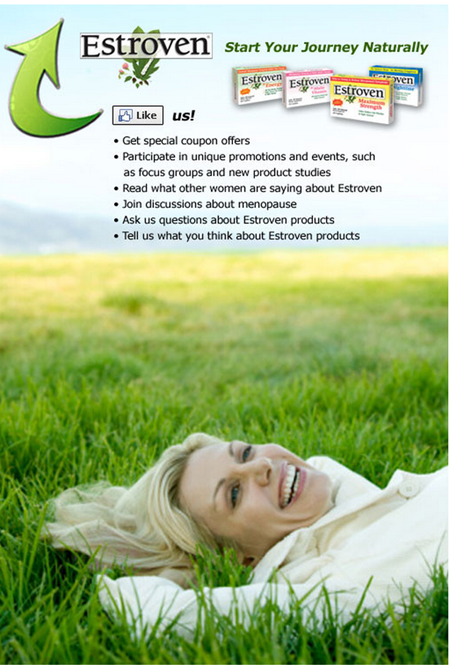 So, I was happy to learn more about Estroven products, an all natural menopause symptom relief. I found that they have a list of the most common symptoms, on their website, that helped me to know I wasn’t crazy ! Here are some of the most common menopause symptoms. Estroven® plus Multi-Vitamin combines menopausal symptom relief with a multi-vitamin for women. Estroven® plus Multi-Vitamin contains a unique Mood & Memory blend to support mood and memory function, as well as mild to moderate hot flashes. 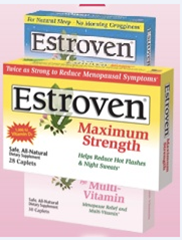 Estroven® Maximum Strength was created for women who may be experiencing more bothersome menopause symptoms. I can’t really tell you about how it worked for me, yet, but I will tell you after I have been taking it for a while! I will be sure to ask my family about the mood stuff – since I may not be that objective! You can “Like” them on their Facebook page! They also offer a very cool loyalty program that provides participants with discounts, reward points, and a unique URL – check it out! So when you got this opportunity you may have thought, who wants to hear about ‘The Change’. Well, me! I appreciate you sharing this b/c I’m starting to think I’m an early bloomer. No something I’m really hoping to be at the front of the pack on though. Again, the power of the sisterhood! You ALWAYS make me happy – even on a slow brain day like today!